Design Inputs are the king of medical device product development. If a product that is in the market has issues, I bet the Design Inputs defined during product development were insufficient. Solid Design Inputs results in a strong foundation.Poor Design Inputs means a weak foundation. Design Inputs are the foundation of a medical device. Solid Design Inputs makes the rest of medical device product development easier too. Once Design Inputs are defined, you are ready to engage in core development. Which in my opinion is where medical device product development is the most fun. Core development gets into prototyping and bench testing. It leads to establishing Design Outputs, which define the medical device components and how it will be assembled. Through defining Design Inputs and Design Outputs, your medical device really starts to come alive. Each manufacturer shall establish and maintain procedures to ensure that design requirements relating to a device are appropriate and address the intended use of the device, including the needs of the user and patient. The procedures shall include a mechanism for addressing incomplete, ambiguous, or conflicting requirements. The design input requirements shall be documented and shall be reviewed and approved by a designated individual(s). The approval, including the date and signature of the individual(s) approving the requirements, shall be documented. These inputs shall be reviewed and approved. Requirements shall be complete, unambiguous, and not in conflict with each other. There are plenty more terms used within the medical device industry to describe Design Inputs. It's important to realize this. I've been in heated discussions with colleagues only to find out after the fact we were saying the same thing. Medical device product development is a process that builds upon itself as the project progresses. Sometimes we are in a rush to get the product to market. But there are times in a project where it really makes sense to spend a little extra time. Defining Design Inputs is definitely one of these times. Some sources state that establishing Design Inputs can easily take up to 30% of the project timeline. Think about that for a moment. If your project is expected to last 12-month, defining Design Inputs can take over 3 months. Writing good Design Inputs is, in my opinion, very much an art form. There most certainly is a way--and several ways not to. And just because you can recognize the art does not necessarily make you a Design Input artist. It just takes a lot of practice. Capturing all functional, performance, safety, and regulatory requirements. Build upon User Needs and intended use. Make sure Design Inputs are clear and objective. State Design Inputs in a way that allow you to prove / disprove them. You have to consider all types of sources and resources for Design Inputs. Leave no stone unturned. Your Design Inputs need to be comprehensive, covering all aspects of your medical device. Design Inputs should not just be the responsibility of one person. It's a team effort. When a team is involved, you get the benefit of everyone's opinions and experience. This is not a complete list, but you should get the idea. Remember User Needs were established first (or at least should have been). User Needs are important to getting Design Inputs going. And, don't forget that eventually, you are going to have to prove your Design Inputs are met during Design Verification. You should always consider Design Verification when establishing Design Inputs. Meaning, you should document your Design Inputs in such a way that allows you the ability to objectively prove they have been met. Design Outputs are sometimes tricky. Tricky because Design Outputs are misunderstood. Let me try to clarify this a bit by sharing what FDA 820.30(d) and ISO 13485:2003 7.3.3 state about Design Outputs. Each manufacturer shall establish and maintain procedures for defining and documenting design output in terms that allow an adequate evaluation of conformance to design input requirements. Design output procedures shall contain or make reference to acceptance criteria and shall ensure that those design outputs that are essential for the proper functioning of the device are identified. Design output shall be documented, reviewed, and approved before release. The approval, including the date and signature of the individual(s) approving the output, shall be documented. The outputs of design and development shall be provided in a form that enables verification against the design and development input and shall be approved prior to release. Records of the design and development outputs shall be maintained (see 4.2.4). NOTE --Records of design and development outputs can include specifications, manufacturing procedures, engineering drawings, and engineering or research logbooks. Does this help? I'm guessing not really. 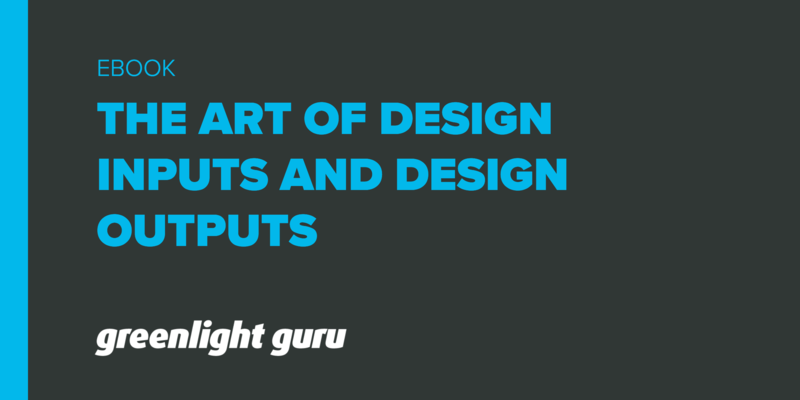 What Is a Design Output? A Design Output is a drawing or specification or manufacturing instruction. Design Outputs describe all the components, parts, and pieces that go into your medical device. Design Outputs describe all assemblies and sub-assemblies of your product. Think of it like this. If you were tasked with assembling a medical device from scratch, what documentation would you need to do so? All this documentation that you would need--Design Outputs. Design Outputs established during product development become the basis of the Device Master Record when in production. "Adequate Evaluation" of Design Outputs? Design Outputs must contain and/or make reference to "acceptance criteria". Think of acceptance criteria as a tolerance of sorts. In order to adequately evaluate Design Outputs, Design Verification is necessary. And this evaluation is comparing Design Outputs against Design Inputs. Tests are NOT Design Outputs. Establishing solid, objective Design Inputs is the key. 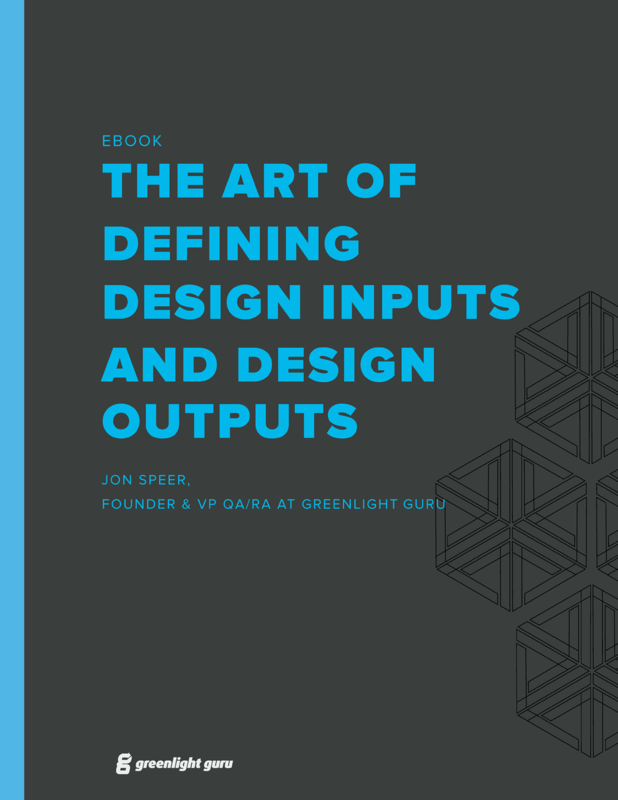 Good Design Inputs make it easier to create Design Outputs. And by always keeping Design Verification (how you prove it) in mind during Design Inputs and Design Outputs, these important medical device product development tasks become a lot smoother.